I walk in remembrance of my grandmothers Helen and Francis. Grama Helen was the hub of my mother’s side of the family. She always made our holidays special by cooking amazing meals and bringing us all together. She also had a great sense of humor and pretty cool dance moves. A daredevil, she rode the bobsleds at Lake Placid. She was also an extremely caring person, volunteering her time giving pedicures to the senior home residents. My grandmother Fran was equally special. Every year, she made handmade gifts for all of us grandchildren. I still treasure the ragdoll she made for me. She too, was an amazing cook, had a wonderful sense of humor and always made you feel special. Everyone wanted to hang out with Gram Fuller. I walk in honor of my mother, Linda (pictured with her grandchildren), who cared for Grama Helen as Alzheimer’s invaded their lives. And for my Aunt Donna, who cared for her mother, Gram Fuller (Francis) with love and compassion. 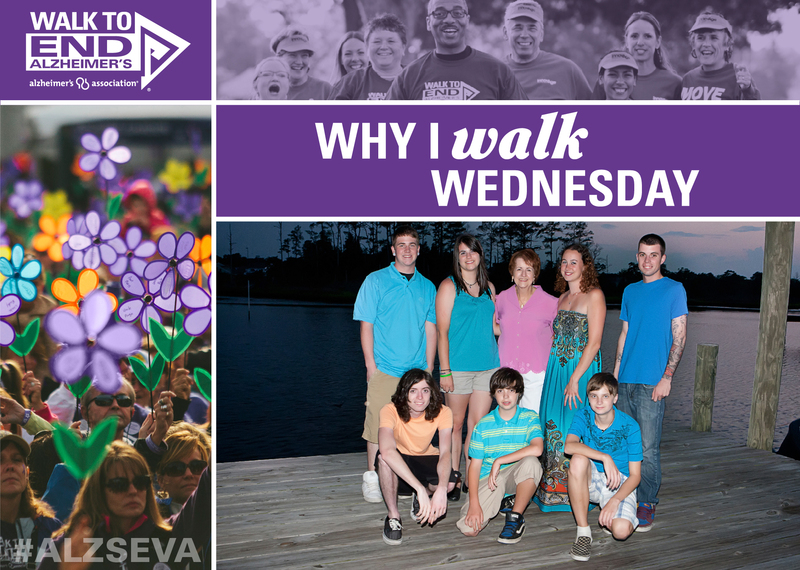 I also walk with hope to find a cure before my children, my family and friends’ children and YOUR children reach the age of contracting this disease. Thank you to everyone who walks to end Alzheimer’s.